Surprise your wife, husband, mom, father, sister, daughter or best friend with one of a kind Turkish Demistasse cups. 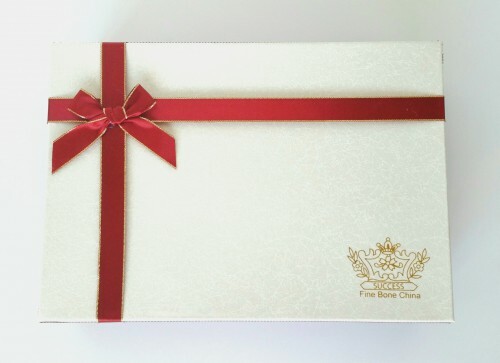 This unique gift will tell her that you took the time and effort to choose a thoughtful present! 12 Piece Set that can serve 6 people. SKU: Bone012. 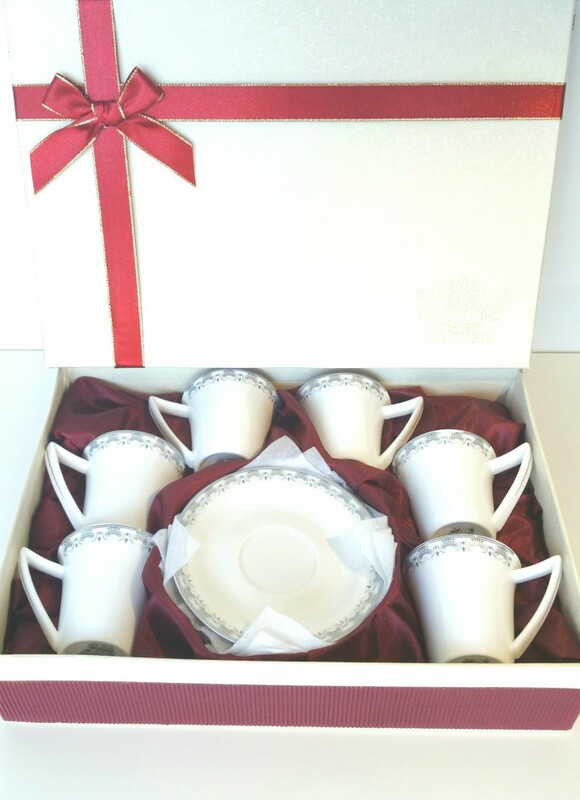 Category: Cups & Gifts, Gift Set, Gifts Unisex, Mothers Day Sale, Turkish Beverage, Turkish Coffee Products, Valentines Day. 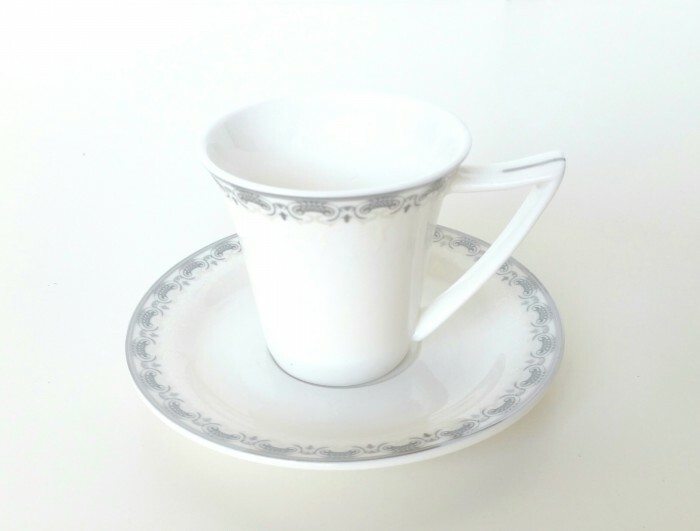 Fine bone china is a type of soft-paste porcelain that is composed of bone ash, feldspathic material, and kaolin. 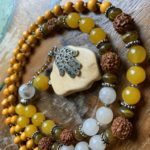 It has been defined as ware with a translucent body containing a minimum of 30% of phosphate derived from animal bone and calculated calcium phosphate. 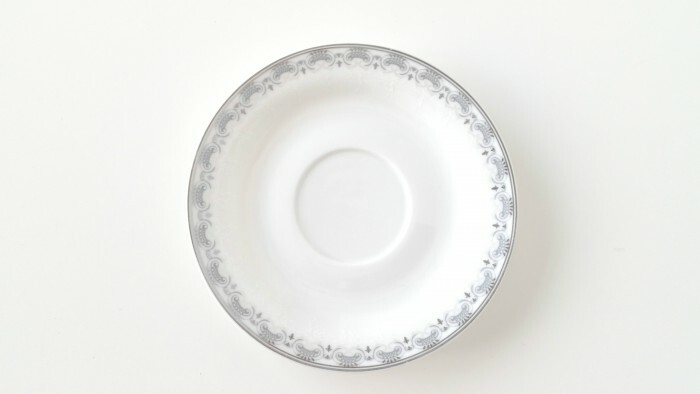 Developed by English potter Josiah Spode, bone china is known for its high levels of whiteness and translucency and very high mechanical strength and chip resistance. Its high strength allows it to be produced in thinner cross-sections than other types of porcelain. Like stoneware it is vitrified, but is translucent due to differing mineral properties. The Turkish coffee cups (demitasse) are the proper tableware for serving Turkish Style Coffee. Since it is a strong coffee it is not offered in full regular coffee cups. Turkish coffee cups are unique coffee utensils. They play a significant part in the presentation and serving of the coffee. There are different criteria to consider when choosing to buy them. The material (ceramic, porcelain etc.) used to manufacture them. The purpose (daily or special occasions) needed to use them. The designing theme (if any) preferred to show. In the early stages of the drinking history of Turkish coffee the hot caffeine liquid was served in metal cans, clay pottery, glass, and or wood cups. 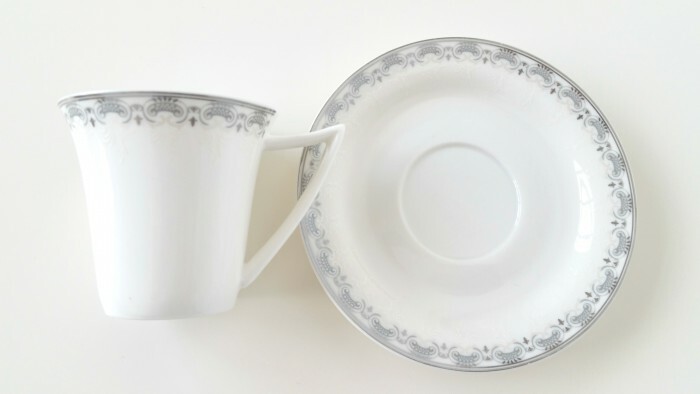 Around 1850 porcelain and bone china replaced the old materials used. The potters started producing demitasse cups in different forms and handmade designs. Turkish coffee cups were introduced to the public around 1800 in France. They usually hold 60-70 ml (2-3 fl. oz.) of liquid. They have a height of 5-6 cm (2-2.5 in.). Their accompanied saucers have a diameter of 10-12 cm (4-4.5 in.). 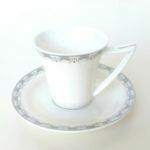 Some of them can be found as “singles” (cup & saucer) or as a set (usually 6 cups & saucers). In the beginning, Turkish coffee cups appeared without handles. They were put on footed metal holders. These holders exist even today. Some of them are considered as art pieces. 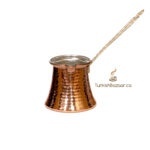 A Turkish coffee cup holder could be made of nickel-plated copper, tinned copper, silver or gold with exclusive motifs. 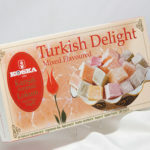 Very popular during Ottoman times it is nowadays used for serving “special persons”. Wash the Turkish coffee cups by hand, using neutral-aroma detergents (best without any scent) and warm water. Then rinse them with a lot of cold water. Dry the Turkish coffee cups either by letting them upside down on a towel or by rubbing them with a paper towel or very soft cotton cloth. DO NOT place Turkish coffee cups in a dishwasher. There is a possibility to ruin the existing designs or for the plain ones to diminish their sparkling appearance. 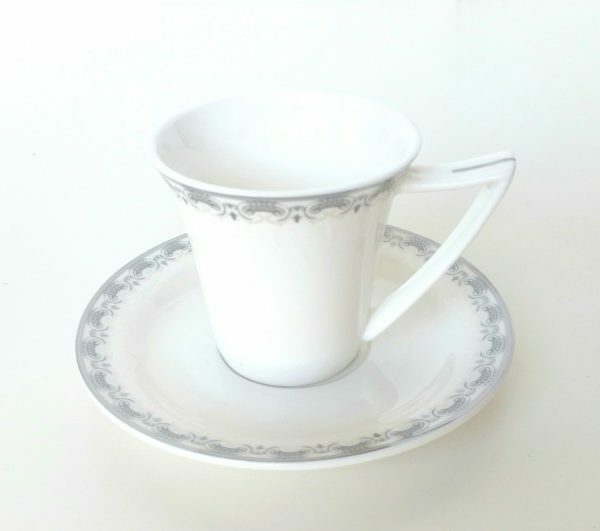 Product Tags / Keywords: Fine bone china, cup, turkish demitasse cups, wedding gift, kahve fincani, where to buy turkish coffee cups, Toronto, Canada, Kanada, Montreal, ottawa, quebec, Calgary, Edmonton, Vancouver, Halifax, fijan, fincan.